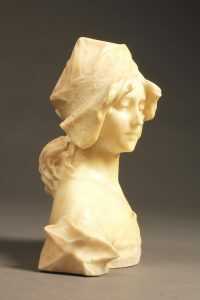 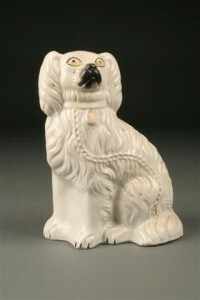 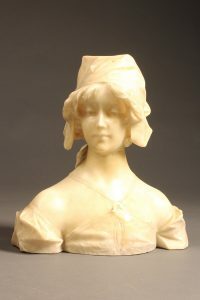 Elegant hand carved bust of a beautiful young woman in alabaster. 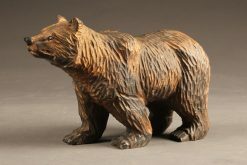 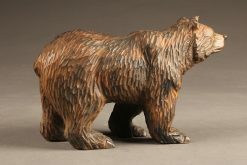 Hand carved wooden polar bear . 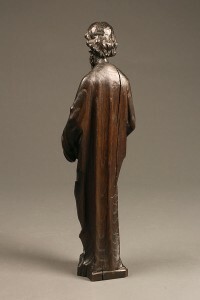 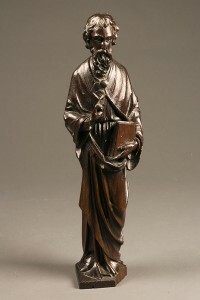 Antique hand carved statue of St. Matthew. 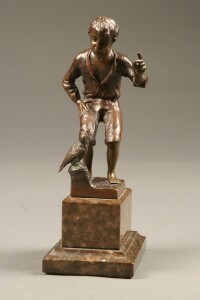 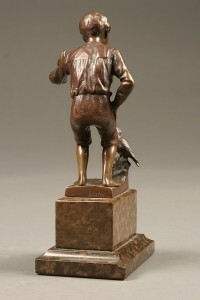 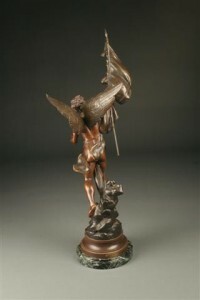 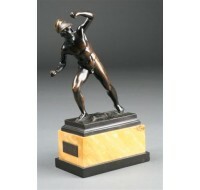 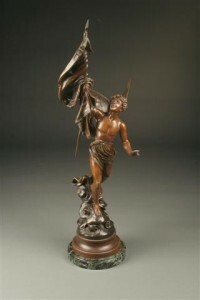 Bronze statue of boy with goose on a marble plinth. 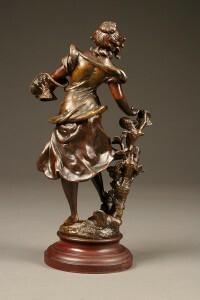 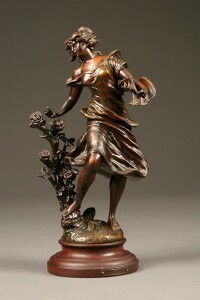 Wonderful late 19th century statue of a woman gathering flowers. 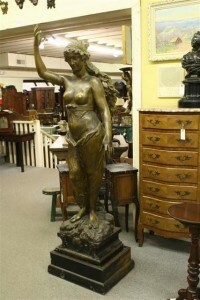 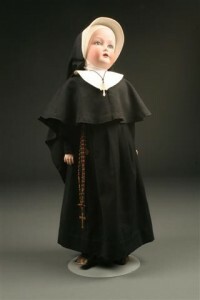 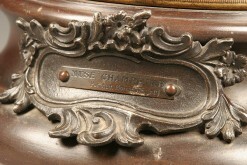 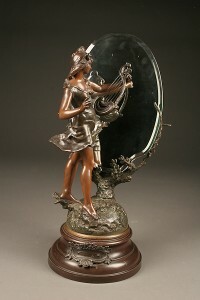 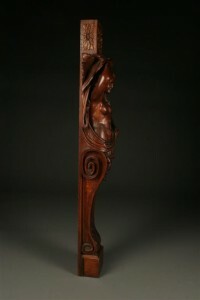 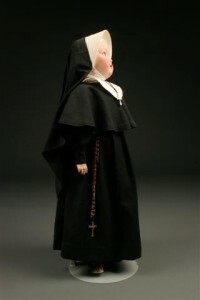 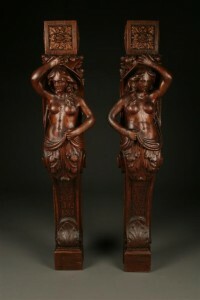 19th century French statue of lady with mirror.